Since 2016 I have been a proud Ambassador for Fujifilm Nordic. In my line of work I can test the cameras and lenses to the max, giving us useful feedback at how they work under extreme arctic conditions. Fuji Photo Film Co., Ltd. was established in 1934 with the aim of being the first Japanese producer of photographic films. Throughout the years of analog film, the company became one of the “three big” on production of film together with Kodak and Agfa. At the same time Fujifilm was a prominent producer of analog cameras and lenses. With joy I remember all the years of viewing provia 6×7 dias by the light table, as well as the C-41 NPS and NPH. At the rise of the digital cameras in the end of the 1990s and the years to come, Kodak and Agfa disappeared from the consumer market. Only Fujifilm stayed behind, quietly building up their knowledge at producing cameras. Even as early as the 1980s, the company had foreseen the switch from film to digital, so it developed a three-pronged strategy: to get as much out of the film business as possible, to prepare for the switch to digital and to develop new business lines. 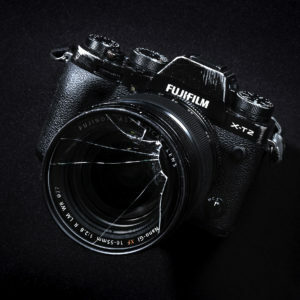 Fujifilm have made quite the name for themselves in the camera industry. They completely changed the game with the release of the original X100 and have since been turning out great camera after great camera. 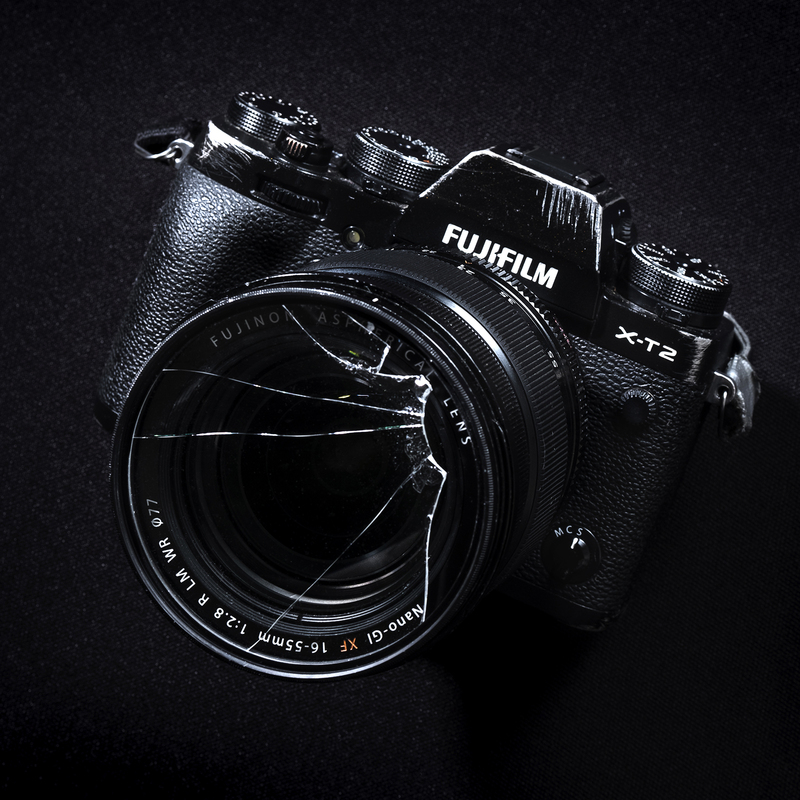 In a similar fashion, Fujifilm is looking to change the way you view medium format cameras with the recent release of the GFX 50s. This camera is smaller and lighter than most comparable cameras. 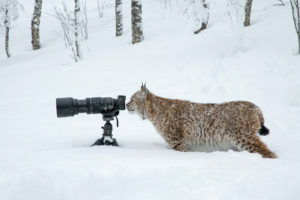 It´s the world’s highest level of photographic image quality produced by the integration of a large 43.8ｘ32.9mm CMOS sensor (FUJIFILM G Format). For 10 years I used analog Pentax 6×7/4,5×6 Fujifilm Provia and Hasselblad Fujifilm negative. With this new GFX comes a new era. The myth says that working on a medium format camera is a slow proses where you need time to adjust settings and focus etc. This camera crushed all those myths. It´s quite small, handy and light weight, quick and accurate. Not to forget the sweet tilt screen. Basicly the GFX is a pumped up X-T2, only with 50mp on a four times larger sensor! I love it! So whenever I need to make large prints (wich I often do on my landscapes) or to crop in (for instance on Sea-Eagles and animals), this is THE tool. Just as on the X-T2, I also find everything where it´s supposed to be at the GFX. From adjustment wheels to menu settings, as well as the focus joystick. THAT, my friends, gives me more time to keep all my attention at the motif, allowing me to work more on intuition and be playful. My main tools have so far been the X-Pro2 and the Xt-T2, which I also participated in testing out at an early stage. The main lenses are XF 10-24 f4, XF16-55 f2.8, XF50-140 f2.8, XF100-400 f.4, XF16 f.1.4 and the XF1,4X teleconverter. That gives me a range of 16-800mm in a small bag compared to my former fullframe kit. The typical Fujifilm user. No, I am probably not. The way I work I totally rely upon lightweight and compact cameragear, that still takes care of hight quality. 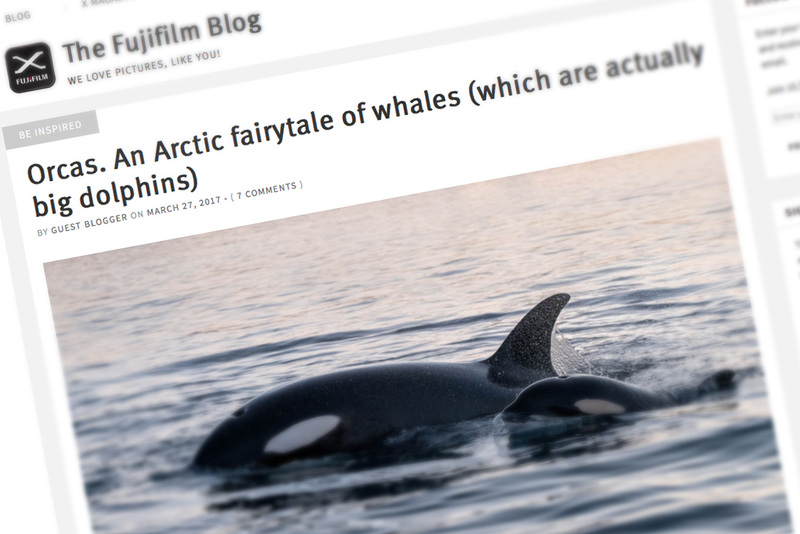 In this Fujifilm blog post you can read all about my experiences on the X-Pro2 and X-T2, and the way I use them in the arctic field. I get some of the largest response from my audience by my Whale pictures. 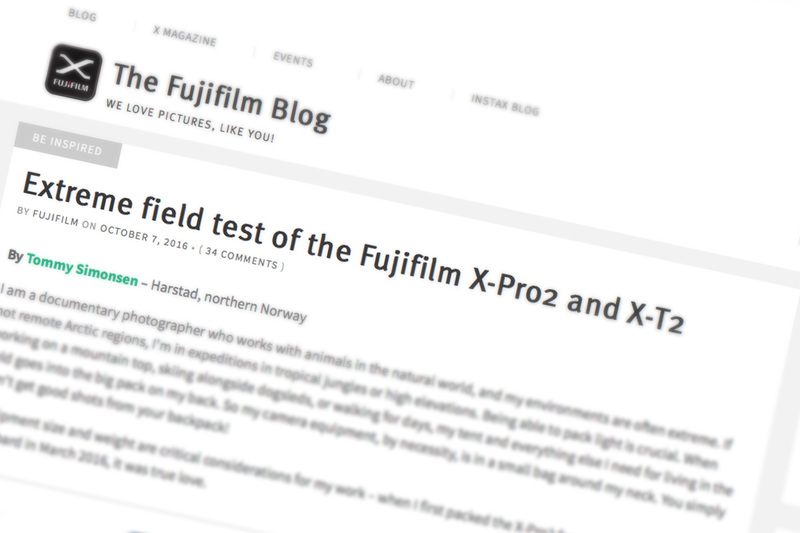 In the Fujifilm blog you can read all of my thoughts on this topic.